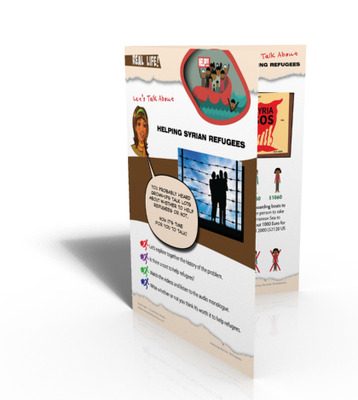 This simple, meaningful discussion guide for elementary kids on the Syrian refugee crisis can stand on it's own or complement our Syria Refugees educational booklet and accompanying videos. Teach an unforgettable lesson on a difficult "real-Life" topic. One PDF booklet containing the printed version of our Helping Syrian Refugees article. Five colorful elementary grade worksheets . Booklet has been designed like a kid's magazine. Shows great in black and white as well.